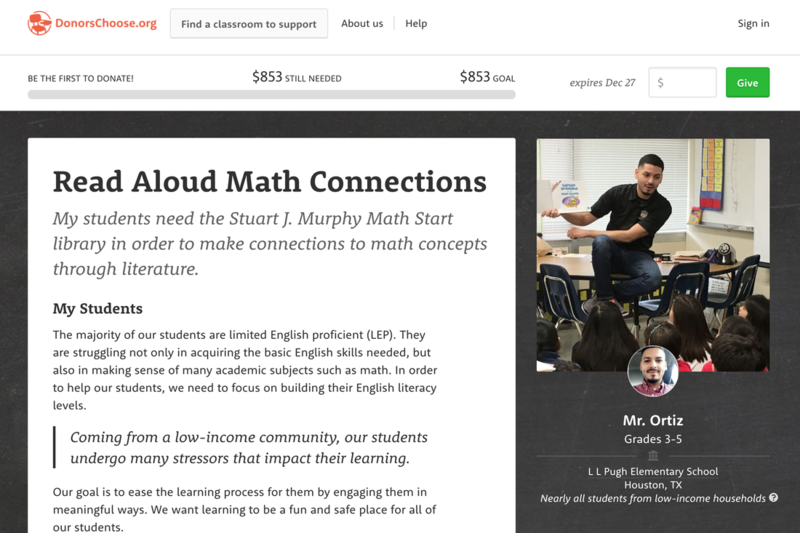 MathsThroughStories.org would like to draw your attention to the teachers below who need your help! 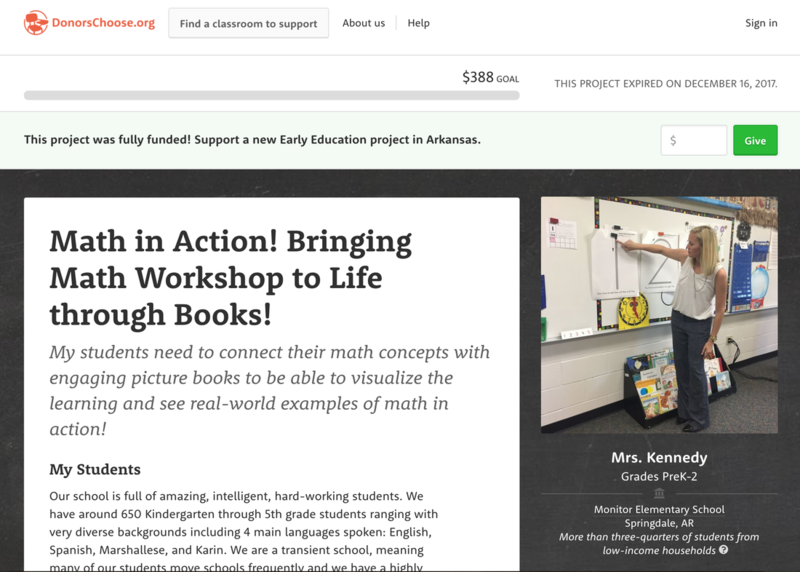 These teachers are truly passionate in using stories to enhance their children's mathematical understanding and love for the subject. 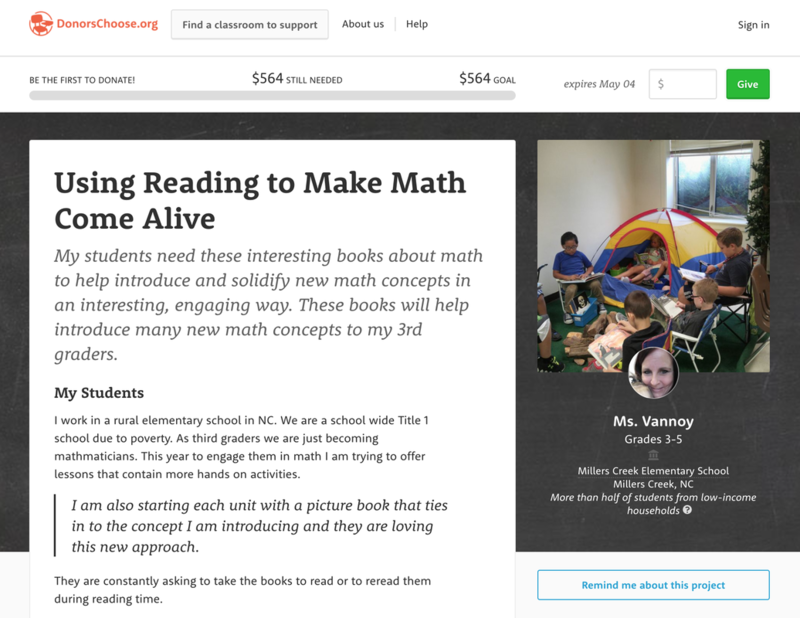 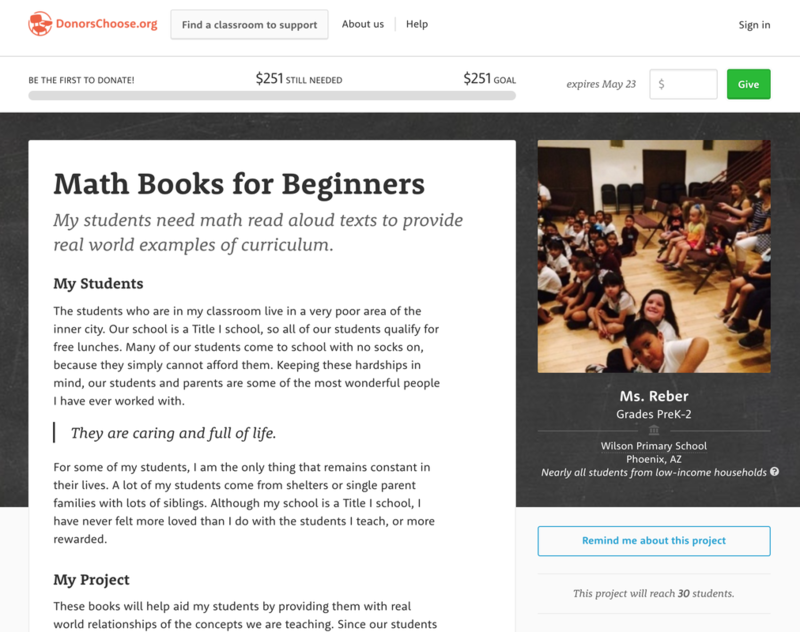 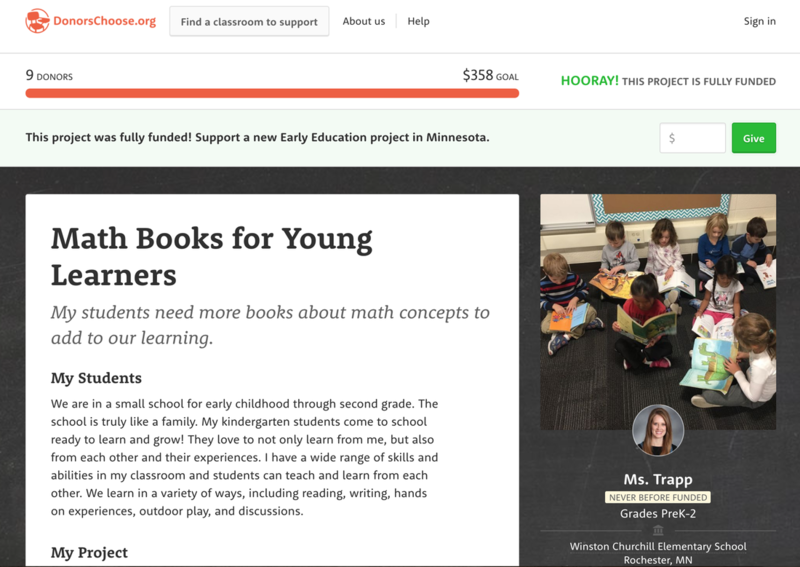 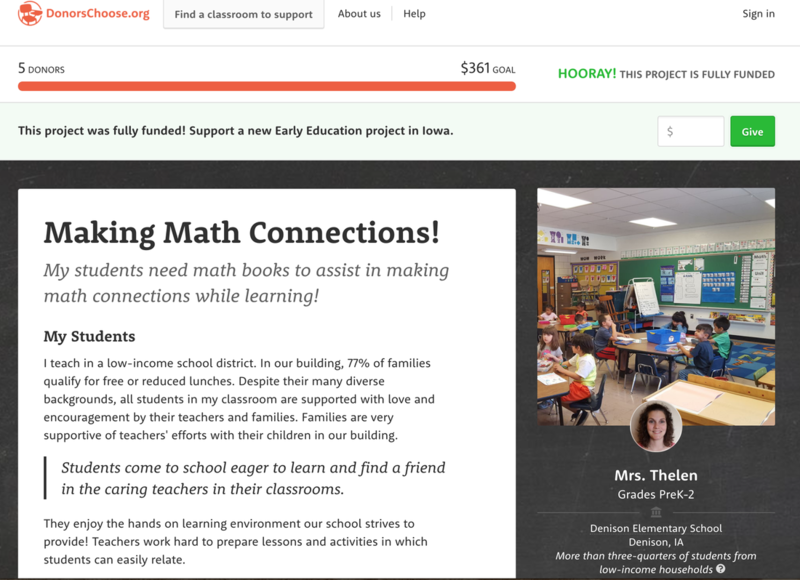 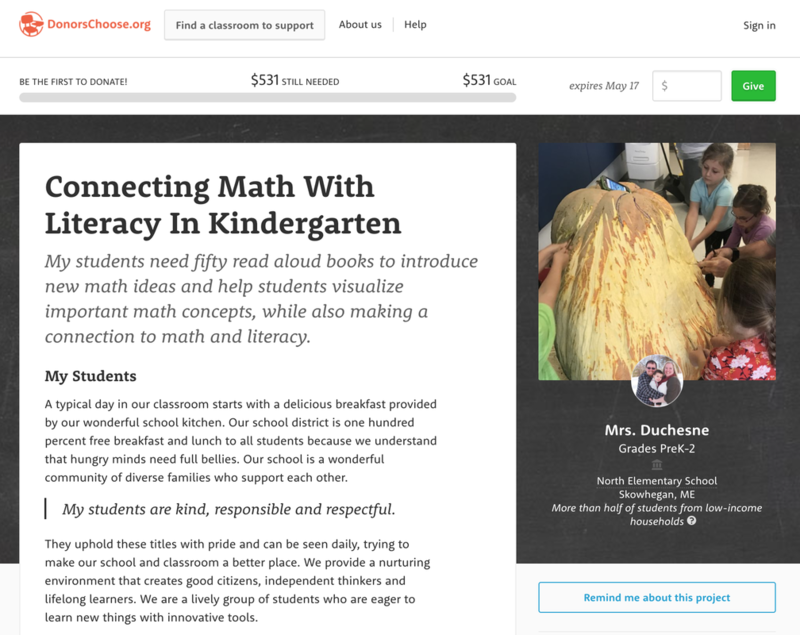 Click on the images to learn more about their respective campaign and see the full list of their carefully handpicked mathematical stories that they need for their class. 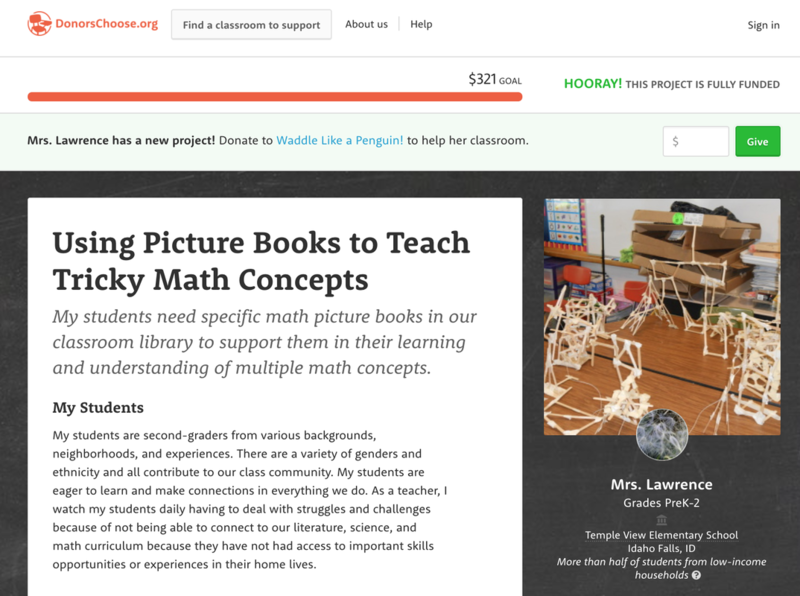 Get in touch if you have your own Maths Through Stories donation campaign that you would like us to help promote!